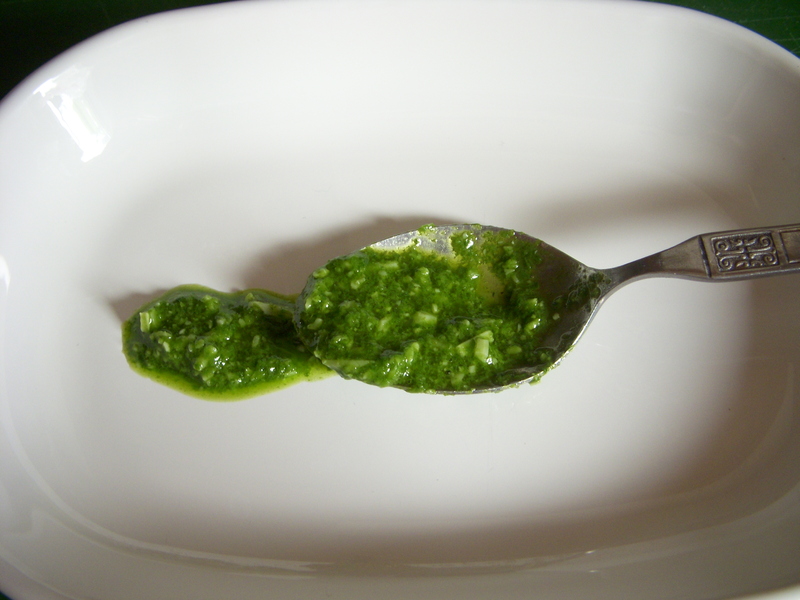 The reason I don’t like calling this sauce a true basil pesto is that it’s missing a main ingredient. I don’t add pine nuts. I’ve tried pesto with toasted pine nuts, with a small amount of pine nuts, with walnuts even (which is good!) but was still not happy. The nuts seem to take away the from the flavor of the basil, which is the showcase of this sauce. So I just stay away from them. I use this to make creamy pesto dressing, pesto bread, pesto lasagna, pizza… so I figure I better post this recipes as the base to many! 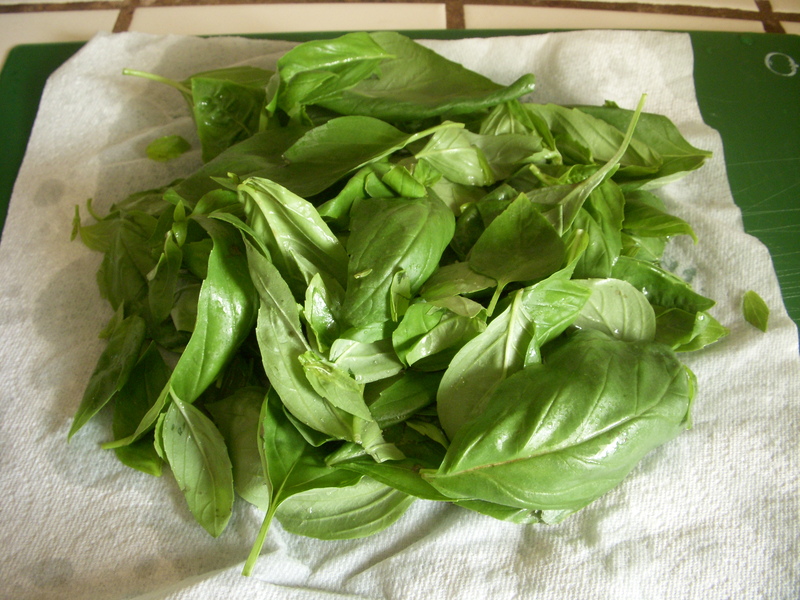 Pick all the basil leaves from the stems. Inspect your basil to make sure there aren’t any critters living on there. I had a bad experience with aphids on basil once. Gently rinse of the leaves and dry on a paper towel. You don’t want to bruise the leaves. 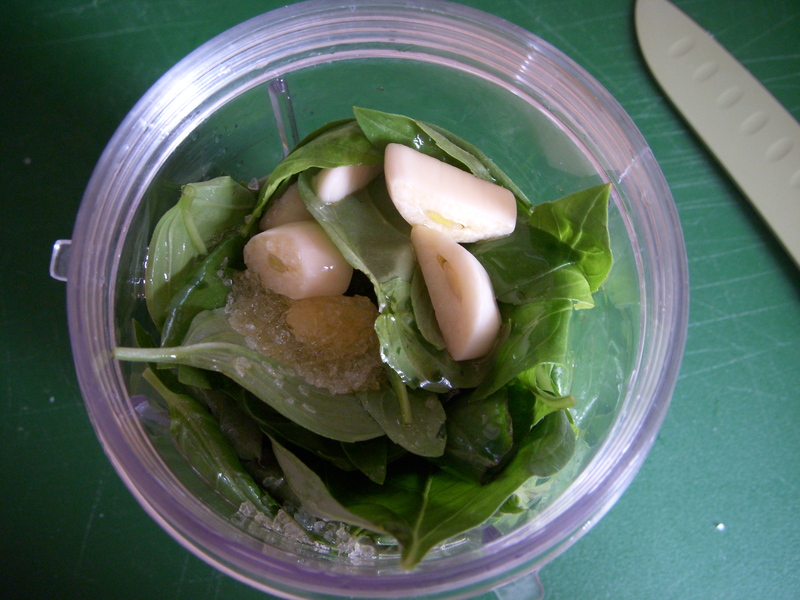 Stuff all your basil, garlic, salt, and olive oil into a blender or food processor. 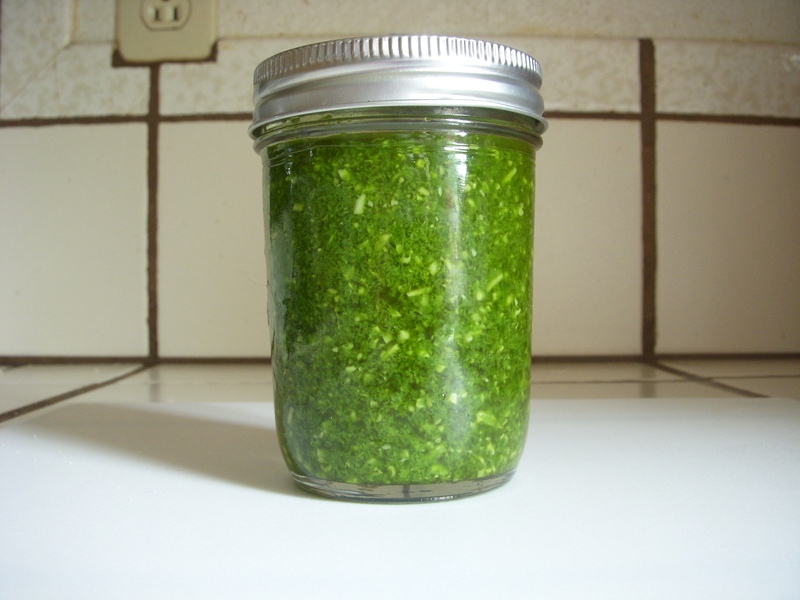 Blend for 20-30 seconds or until he garlic is completely chopped up and you have a bright green slurry. It may take longer than 30 second depending on the blender you’re using, and it may need more olive oil. Drizzle oil in as needed up to 2/3 cup of olive oil. 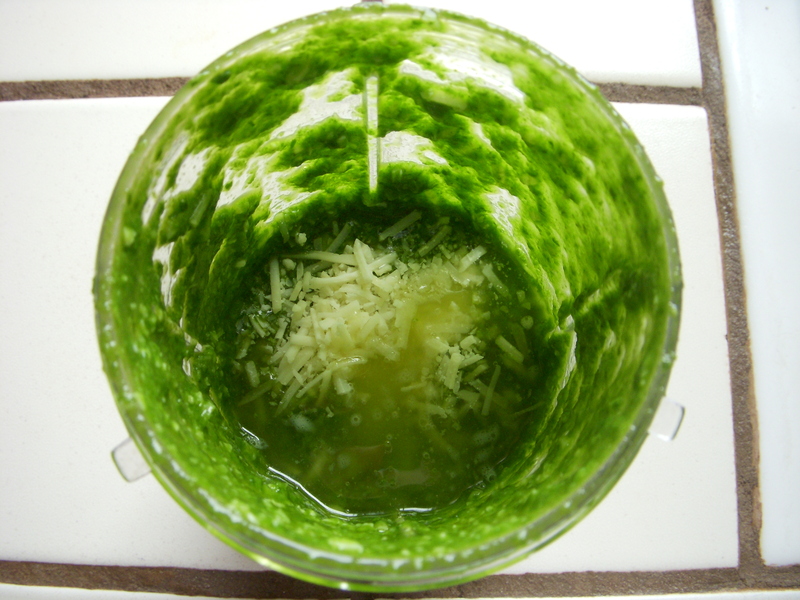 Once your garlic and basil are all chopped up, add in cheese and melted butter. doesn’t stain) but make sure the top is completely covered by a thin layer of olive oil to prevent spoiling.